At the Paris Motor Show last month, newborn Vietnamese automaker VinFast unveiled two premium cars, the LUX A2.0 sedan and LUX SA2.0 SUV. The company also revealed plans to make a battery-electric car developed by EDAG, and an electric bus with the support of Siemens, as well as a city car based on a GM. 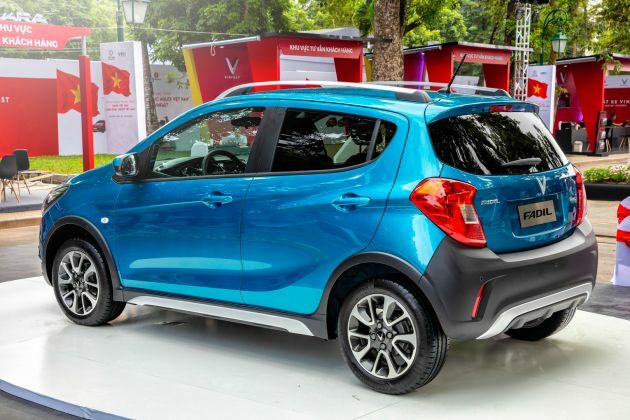 Well, the VinFast Fadil is exactly that – a more affordable city car that the company hopes will cater to the rising car demand and ownership in Vietnam. 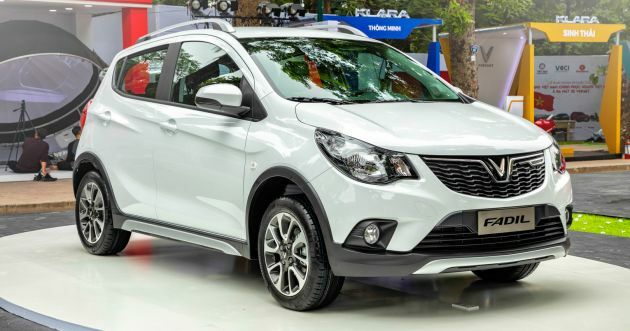 To start, the Fadil, which made its debut in Hanoi, is essentially a rebadged version of the Vauxhall Viva/Opel Karl, and by extension the Chevrolet Spark. It’s a rugged-looking A-segment crossover with a jacked-up ride (up by 18 mm) and unpainted plastic mouldings all around. There are silver roof rails, rugged front and rear bumpers with integrated skid pads, as well as 15-inch dual-tone alloy wheels. The headlights are halogen reflectors, but they feature LED DRLs. Other exterior features include front fog lamps, LED-combination tail lights, fender-mounted turn indicator and keyless entry. As of yet, no interior photos have been published, but the Fadil is expected to feature the same carryover cabin as the Viva/Karl/Spark. That includes a multifunction steering wheel, shift paddles (top spec only) and fabric seats. The rear bench folds in a 60:40 split configuration, which expands boot volume to 1,013 litres. Also available on the GM triplet is a seven-inch Navi 4.0 IntelliLink infotainment display with Apple CarPlay and Android Auto functionalities. It also supports Bluetooth hands-free calls, audio streaming and phone book access, and the head unit is hooked up to six speakers. Lesser variants could get a more basic R300 BT unit with Bluetooth and audio streaming functions, but this hasn’t been confirmed. Performance-wise, the Fadil is powered by a 1.4 litre four-cylinder petrol engine that makes 98 hp at 6,200 rpm and 128 Nm of torque at 4,400 rpm. The engine is paired to a CVT, which drives the front wheels. The said 1.4 litre engine is the same unit powering the latest-generation Chevrolet Spark. In other markets, the Viva/Karl is available with a smaller 1.0 litre three-cylinder petrol engine, producing 73 PS and 95 Nm of torque. There, it gets a five-speed Easytronic 3.0 automatic gearbox. Where the VinFast Fadil truly shines is in the safety department. According to reports, the range-topping model comes with ABS with EBD, and bundles electronic stability control, traction control system, horizon slope assistance, anti-flip ROM function, reverse parking camera with rear sensors, as well as six airbags. Not much else is known about the car, but we do know that it will cost around 423 million Vietnamese dong (RM76k) in its home market. 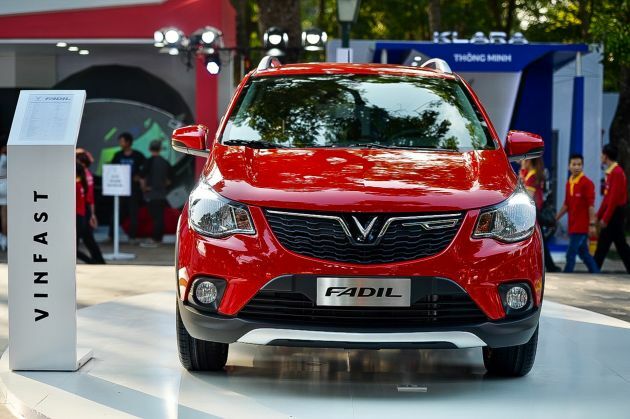 The Fadil will be built at a GM-licensed manufacturing facility in Hanoi (VinFast’s second plant), which is focused on the production of the company’s small cars. Its primary plant in Hai Phong is currently being built at a cost of US$3.5 billion (RM14.67 billion). RM76k, sorry to say, no one to buy, better buy Myvi. An A-segmenter at Rm76k? Now where is that person who claims Malaysia have the most expensive car prices? When got something against his logic, he cowers and hides. Vietnam has all sorts of taxes to slow down car purchase. This is because it has a huge population but the infrastructures weren’t ready just yet. One of it is called Luxury Tax. And this makes the Persona and myvi to cost 110k while x70 as high as 200k if they are to sell in vietnam. Malaysia still has the most expensive car prices in the world in relation to what we earn. According to EPF statistics, 78.6% of all its contributors only earn RM1500 and below. In relations to what we earn? Do you seriously think Vietnamese earns more than the average Malaysians? Yet their national A segment car is the same price as our C segment national car. This is utter height of PH macai stupidity. Nonsense. You always speak bad about the country without valid fact. This kinda bodohness got no hope alredi. Waste my time if explain to him. So much hype and so much praise by basher, in the end its just a rebadge car. Facepalm! Prime example is us. Still rebadging. Good one! 30 years also we neve rlearnt anything and still rebadging. Please read properly! This is Perodua they are talking about. You again, bashing the country. Pls dont hide yourself by using Malay name. Just look at China then. I don’t care for much about their copyright infringements, but their rebadging eventually changed to actually developing their own tech. No one is going to teach you how to make anything. You have to work with that you got and learn from there. Good luck VinFast. You kena conned by GM. Wheres that basher dupe that says MY cars ins most exp in the world? Crawl back into cave? Fadil, Hai Phong, Hanoi…..I think i will give it a pass…. Let’s bet. This company won’t last more than 10 years.